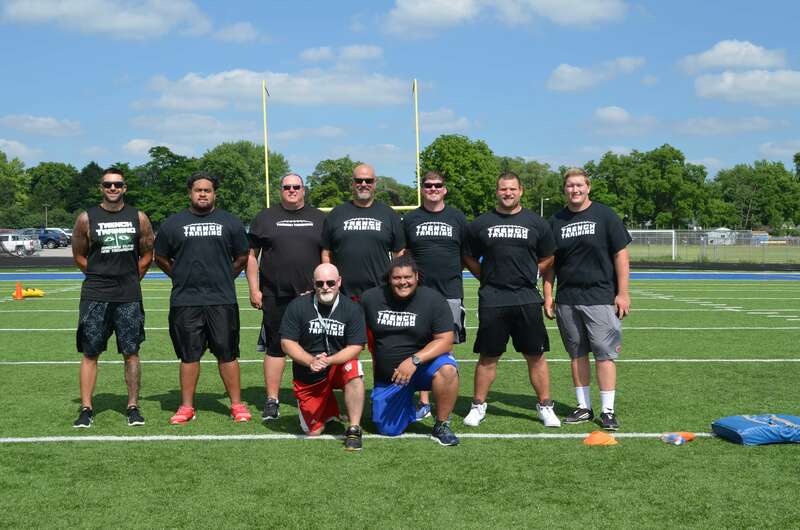 The 2019 Trench Training Play BIG Pro Camp will offer expert instruction from our professional staff. 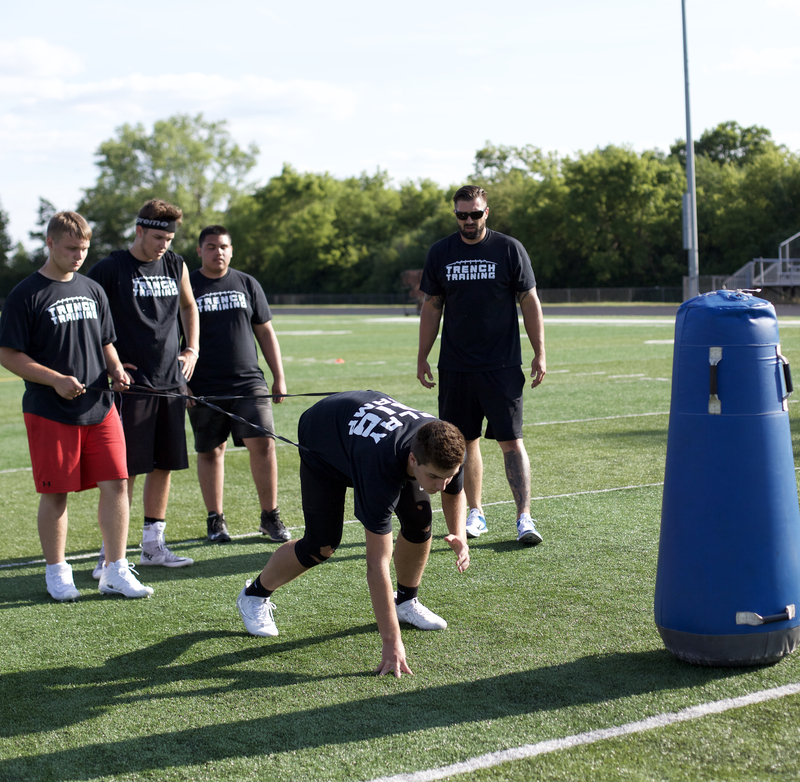 We’ll teach and tips and techniques to each player to help achieve further development in their offensive or defensive line position. During camp, all athletes will receive a unique, elite level experience. They will participate in 5 hours of on-field drill work as well as an instructional film study. Studying and understanding film is a learned skill – one that is, most often, not developed at the high school level. We teach athletes what to look for and how to assess their own performance. Learn stance, take-off, punch mechanics, body position, hip flexibility and core activation from our staff of former NFL and college players. With both on-field and classroom instruction, athletes learn how the pros prepare for their season.